Have you noticed a build up of soap scum on your plates after you wash them? Are you plumbing appliances and systems not performing as effortlessly as they should? While there could be a lot of reasons for this, one reason that might not be so obvious is hard water. Hard water is water that is full of minerals. While the name might sound scary, hard water is not dangerous to your health. You can easily drink it without getting sick, but it does cause other issues. Hard water has the ability to cause dry skin and hair, fade your clothes, leave water spots on your dishes and cutlery, and more. Need Water Softener Installation? Call All About Plumbing & Septic! One of the biggest things that hard water can do is cause issues with your pipes and plumbing systems. This is because of the buildup of minerals, which can block up your pipes and cause your plumbing systems to work harder than they should. To get rid of hard water once and for all, the best thing you can do is get a water softener system. At All About Plumbing & Septic we are able to help by providing water softener installation in Mills River, Hendersonville, and Asheville, NC. Whether you need a commercial or residential water softener, we are here to help. Call us at 828-778-2425 to make an appointment today. The most common minerals that you will find in hard water are calcium and magnesium. With the help of a water softener, the buildup of calcium and magnesium minerals will be a lot lower or completely gone. If you are interested in a water softener but aren’t sure if you really need one, there are ways to tell if you have hard water. If you have hard water in your home or business, you will experience a couple of these things. Dry Skin and Hair: We depend on our shampoo, conditioner, and lotion to make sure that our hair and skin is soft and smooth, but when you have hard water, those things can’t really help. If you have hard water, you will notice that your skin is itchy, dry, and irritated, whereas your hair will be dry, not shiny, and brittle. Residue On Your Sinks, Bathtub, and Shower: Sure when we don’t clean those areas often they can become dirty, but when they are affected by hard water, they can develop mineral deposits. Frequent Plumbing Repair: If you are having to have your plumbing repaired more often, then the culprit could be hard water. When there is a buildup of minerals, it can block up pipes and valves to plumbing systems, causing them to need repairs. Not only is this expensive, but constant repairs are not good for your pipes or your plumbing systems. High Water Bills: Because your plumbing systems have to work much harder due to mineral buildup, they will cause your water bill to be very high. Water Stains On Glassware: Not only can hard water affect your plumbing, hair, and skin, it can also cause water stains on your glassware. When you continue to wash your dishes and cutlery with hard water, it will make them more brittle, which in turn makes them more susceptible of breaking. 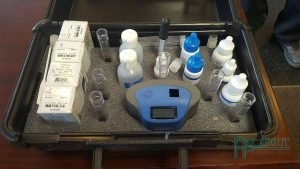 Our Plumbers Are Able To Test Your Water On Site To See If You Have Hard Water. Think that you have hard water in your home or business? Please contact our office today to schedule an appointment for water softener installation in Mills River, Hendersonville, and Asheville, NC. If you have a water softener system in your home or business, you know how wonderful they are. They make your plumbing appliances and systems run more efficiently, your hair and skin are softer, and your water bills aren’t high. Like all plumbing devices, it is so important that at the first sign of trouble, you get repairs. These are some signs that you need repair service for your water softener. The salt levels are fine, which can only mean that there is another issue with the water softener. You don’t have to replace the salt too often. If the water is constantly running within the water softener. You are noticing water spots on dishes, clothes are fading, and your skin and hair are dry. You are experiencing very low water pressure. When these things are happening to you, you can call our plumbers for assistance. We are able to inspect your water softener and find out where the issue is. If for some reason the water softener is beyond repair, we are able to provide water softener replacement service. Get water softener repair or water softener installation in Mills River, Hendersonville, and Asheville, NC by calling us today. Whether you are needing water softener repair or installation for your home or business, the plumbing contractors at All About Plumbing & Septic are more than happy to help. We know that having to deal with dry, itchy skin is annoying, as well as having to deal with plumbing systems that don’t work effectively, so we are here to equip your residential or commercial with the best water softener. 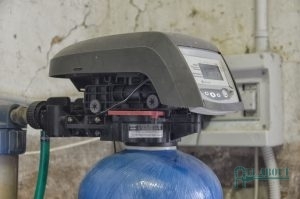 If you are having problems with your water softener, don’t hesitate to call us at 828-778-2425 to get an inspection. It could need a minor repair or it might need to be replaced. For those times that you want a water softener installation in Mills River, Hendersonville, and Asheville, NC or you think you need repairs, contact our office to speak with a plumber. We are your one-stop shop for the best water filtration services in the area. Updated on January 22, 2019 at 12:31 pm by All About Plumbing.